Charter a private jet and fly to Madrid, Spain’s elegant central capital and a popular tourist destination. Hiring a private jet into (LEMD, MAD) Adolfo Suárez Madrid Airport is the best way to get in and out of the city, and our team is here offers the highest standards in executive and leisure travel. Air Charter Advisors offers on-demand private jet charter service to/from Madrid, and with access to thousands of private aircraft around the world, we’re confident we can arrange the right aircraft for your trip, whether flying internationally or domestically. When working with us, you will receive an all-inclusive and customized booking experience that far-surpasses industry standards. One of our Madrid Jet Charter brokers will be available to you 24/7, as will their experience and knowledge. This means you don’t have to worry about anything, whether it be ground transportation or logistics issues. We’re more than happy to offer unlimited free charter flight quotes and insider advice. Our number one priority will always be client safety, and we do a number of things to keep our standards up-to-date, and stringent. Our private jet charter company is Wyvern certified, and we only work with FAR Part-135 (or foreign equivalent) aircraft for every charter flight. We also vet pilots at higher standards than the rest of the industry. Enjoy the peace of mind, comfort, and confidence that comes from working with a private air charter broker that you can trust, and skip the hassles of commercial travel. Request a quote now, or give us a call to book your luxury private jet to Madrid, Spain. Need to charter a business jet to Madrid? You’ve come to the right place! 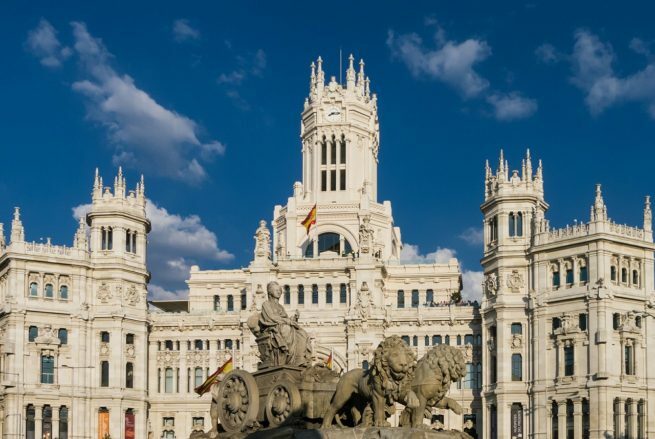 As the economic and political hub of the country, Madrid has plenty of venues for conferences, meetings, and other business events, making it a great place to fly your executive team for your next business conference. ACA can arrange the ideal jet for your executive team, with essential on-board amenities such as Wi-Fi, spacious cabins and gourmet in-flight catering, allowing your team to conduct business while traveling with the utmost privacy, comfort and security. Each plane we arrange for charter service is operated by FAR Part 135 or 121 (or foreign equivalent) air carriers, and we only use veteran pilots with a wealth of experience, giving you peace of mind knowing we use the same strict standards many Fortune 500 companies apply to their corporate fleets. Hire a King Air 90 or Cessna Citation to fly private within the Carolinas; rent a comfortable, efficient mid-size jet like a Learjet 60 or Hawker 800XP to fly your executives up and down the coast; charter a flight overseas on a Gulfstream G4, G550 or G650, or other long-range jets such as a Challenger 605 or Global Express. No matter what type of business has you traveling to North Carolina’s capital, our friendly private aviation team will be available to you 24 hours a day, 7 days a week to to arrange your executive jet charter service to Raleigh, North Carolina. Most international business in Spain is conducted in Madrid due to language barriers in many of the country’s other cities. Catalan, Basque, and a myriad of other languages are spoken in different cities like Barcelona and Pais Vasco, so it’s hard to find a common language; Madrid makes things easy with its Castellano and English. 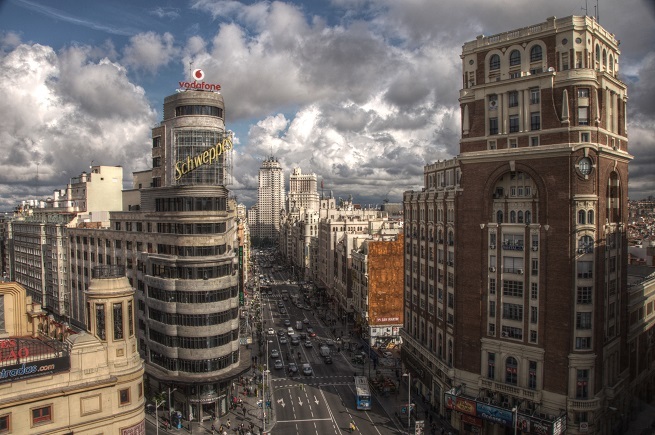 Madrid doesn’t really have a central business district; it’s basically just a free-for-all. All the major Spanish companies are represented in Madrid, but their headquarters are going to be scattered throughout the greater area. One of the most popular venues for business conference & events is Palacio de Congresos; comprised of 40,000 square meters of space and conveniently located at the corner of Avenida General Peron and Paseo de la Castellana. Book a private business jet and fly your executives with our Madrid Jet Charter team. Slow and relaxed, Madrid has been the capital of Spain since 1561 – more than twice the age of the United States. Unlike Europe’s other megalopolises, Spain’s capital adopts a Mediterranean atmosphere, and people meander through the city in a pleasant and never-hurried swagger. The people are often described as friendlier than in other European cities. They’ll often attempt to speak with you while waiting in lines, or at crosswalks, and you’ll be met with unrestrained conversation if you speak with them. Private jet charter clients flying to Madrid will find that much of the city life in Spain is exemplified by the midday city-wide shutdown – siesta. Siesta is definitely still a thing in the area, not just something you learned about in Spanish class. Even the busiest parts of the city like Sol will slow down significantly during the afternoon hours; you’ll see lots of shops just completely close, and you’ll often see the owners head to the closest bar for a drink. However, you may want to enjoy a siesta while it lasts – Spain has recently discussed ending the siesta in exchange for shorter work days. A bit more homogeneous than London or Paris, English is not as prevalent in the area as you might expect from other cities of similar size, and it’s important to prepare for a bit of a language barrier before your private jet charter flight to Madrid. However, if you make an attempt at Spanish, the locals will generally find it endearing and will be more than willing to assist you. This open attitude applies to friendship as well, and you’ll quickly find yourself invited to the familial home of any friend you make. You’ll likely meet the whole family because it’s common for many generations to live under the same roof together. If you’re accustomed to traditional European weather, you’re in for a treat. Madrid sees blue skies and sun much more frequently than the Northern European countries, and the effect on the local culture is obvious. Make sure you pack your gift for gab before flying private to Madrid, because you’re definitely going to need it. Madrid nightlife is generally described as absolutely wild. You’ll never find clubs closing at two in the morning and kicking people out, and the locals rarely venture out before eleven at night; they often drink at home before heading out for the night. Madrileños are just starting their nights when most other people are going to sleep. There’s even an extremely popular club that is open 24 hours a day and 7 days a week, and it actually stays pretty busy at all hours; it’s called Kapital, and if you’re having trouble sleeping, we suggest heading that way. If you’re interested in seeing the most bustling nightlife area, then head over to Huertas – a neighborhood solely committed to offering the younger crowd a fun and an overall interesting nightlife experience. It’s a great spot for a bar crawl, and you can keep it going into the wee hours of the morning. If a pub crawl isn’t your thing, you’ll probably want to try a different area. The nightlife and bars you’ll find differ depending on the neighborhood, so it’s easy to find something that works for you. For instance, the bars in Sol are generally going to be a bit more traditional. This means that they’ll have the flag of their favorite soccer team up on the wall, men will be drinking cañas at all hours, and they’ll have been the same way for several decades – often with the exact same customers the whole time. If you’re in the crowd that prefers to call it a night before the sun comes up, the best options are going to be along the Cava Alta and Cava Baja. Overall the nightlife or “la marcha” is a full-time affair, and doesn’t necessarily start and end with the sun or the moon. The foodie craze has finally reached Madrid, and the city picked it up and ran with it. Now, the city sits proudly as a bit of a foodie pilgrimage. Talk about the food here all you want, but no discussion of Spanish cuisine would be complete without talking about tapas. Tapas, small plates, whatever you want to call them; they’re amazing. Just show up to any bar and they’ll immediately offer you these free snacks to go with your drink. The selections will depend on what the bar owner has in stock, and they’ll range from cheese and bread to pig ears and blood sausage. There are also restaurants that specialize in these micro bites. We mentioned that the Spanish capital is a bit less international than other European capitals; this also applies to the cuisine. It can be very difficult to find authentic versions of foreign cuisine, so you may have to do a bit of searching if you’re craving a U.S. style burger or some good Chinese food. Spanish cuisine is generally heavy on bread and meats, so it’s very difficult to find vegetarian and vegan options in the city. If you’re in the outskirts of town or in a nearby city, you’ll likely not find any vegetarian options. However, you didn’t fly private all the way out to Madrid to end up eating like you do at home, did you? As for specific places to go, it will depend on what you want. For some of the best tapas in the city, head over to the Salamanca neighborhood; the restaurants here are going to be more traditional, but with higher quality tapas. 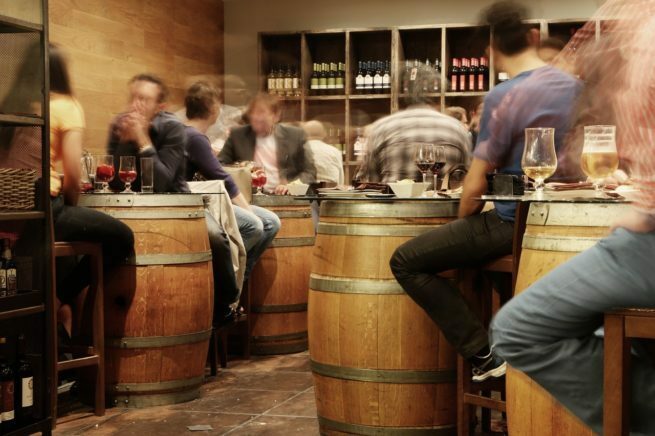 If you want the overall best quality tapas with good atmosphere, food, and drink specials, you can head over to Chueca, Latina, Sol, or Lavapies. The restaurants and bars in these neighborhoods are the most popular with the younger crowd. The major historic spots generally line up in a big circle around Madrid, and most of them can be seen in a full day of concerted sightseeing. 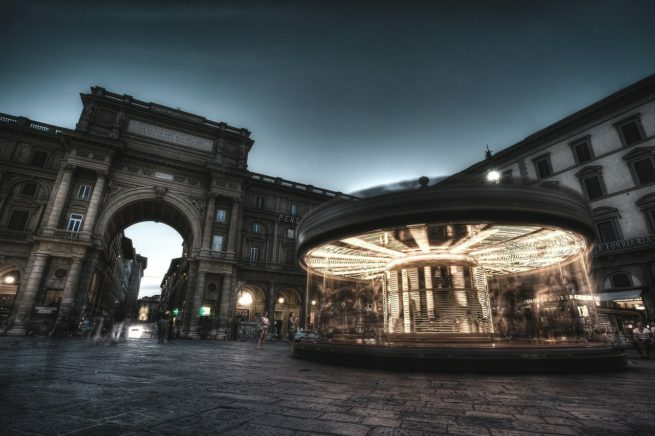 There are also tons of museums to enjoy, along with the iconic reform architecture that the city is so famous for. Though much of the medieval and renaissance architecture has been obliterated, there still exist a few shining examples such as the Mudejar Churches and the Cisneros House. Back in 1561, Juan de Herrera and Juan Gomez Mora were commissioned to redesigned the city. They wanted to make it worthy of being the country’s capital. The most iconic example of the redesign is Sol’s central point, the Plaza Mayor. Other examples include the Casa de la Villa, Prison of the Court, and the Palace of the Councils. Madrid Jet Charter clients frequently fly private in and out of Madrid for vacation, and they always talk about how nice the hotels there are. The main avenues of downtown Madrid are chock full of Five Star accommodations, while the surrounding area offers tons of luxury boutique options. If you’re chartering a private jet on business, then there are also several Four Star options near the various airports. They’re mostly equipped with conference suites and event spaces that are perfect for business travelers. 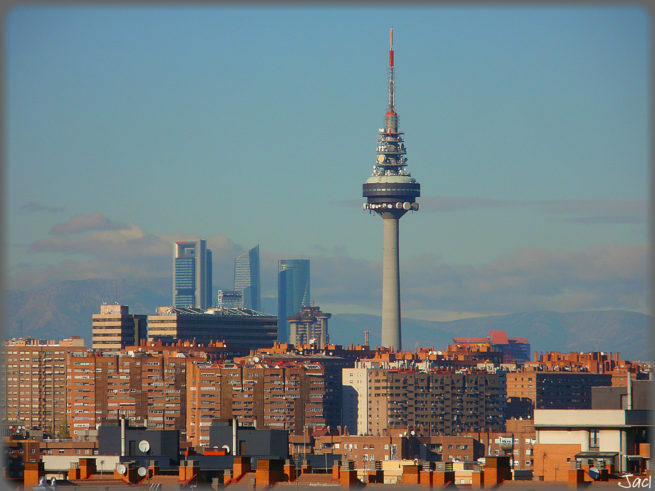 The area of Madrid you stay in will determine the atmosphere of your accommodations, and thus the nature of your trip. If you stay off of Gran Via Road (right in the city center), you’re going to have to deal with lots of noise and people. However, it’s the best place to branch out from and see all of the sites. Shops, bars, and nightlife are best accessed from this area. If you want to stay in the city and still have your peace and quiet, Paseo del Prado is you’re best best. It’s a bit off center, but it’s right in between all of the city’s best museums. You’ll likely have a great time regardless of where you stay, but it definitely helps to pick the best hotel for your needs. If you want a bit of help with that, our private jet charter team has a few suggestions for you. Keep reading to check out our list of the best places to stay after a private flight to Madrid, Spain. Air Charter Advisors utilizes to following airports to fly clients privately to/from Madrid, Spain and surrounding areas of Europe. Choose between flying private in a turbo prop, light jet, mid-size jet, heavy jet or long range jet. Rent a business jet or luxury private jet and fly to Adolfo Suárez Madrid–Barajas Airport (IATA: MAD, ICAO: LEMD) , commonly referred to as Madrid–Barajas Airport, Spain’s main international point of entry for private jet charter flights. Located just outside of the city’s financial district and featuring 6 individual VIP lounges and meeting rooms available for conferences, (MAD) Madrid–Barajas is the preferred airport for business jets and executive jet charter flights. It was also recognized by Condé Nast Traveller Reader Awards when they voted (LEMD, MAD) Adolfo Suárez Madrid–Barajas as the best airport in the world. Due to high levels of air traffic, the airport has expanded in recent years and now offers 4 runways and 4 terminals, including a 760,000 square meter terminal, one of the largest in the world. Executive Airlines, Multiservicios Aeroportuarios, Sky Valet and TAG Aviation operate the 4 FBOs located at Madrid–Barajas, allowing private jet clients to quickly board/exit their aircraft through a private terminal and offering a variety of upscale business and leisure services. Fly private to Madrid–Cuatro Vientos Airport (ICAO: LECU/LEVS), Spain’s oldest airport and a former military based converted to service general aviation. The airport is located along the south-east outskirts of the city and is commonly known as Cuatro Vientos – meaning “Four Winds” in Spanish, Cuatro–Vientos dates back to 1911 as a flight school. As air traffic to Madrid increased, additions were made including the extension of its runway. There’s a 4,900 foot runway at Cuatro Vientos for light jets and turbo-props to use, and a smaller grass runways measuring just over 3,600 feet used primarily by the flight school and smaller aircraft. It’s important to note that although it serves both international and domestic flights, the (LECU/LEVS) Cuatro-Vientos is limited to visual flight rules (VFR) only. 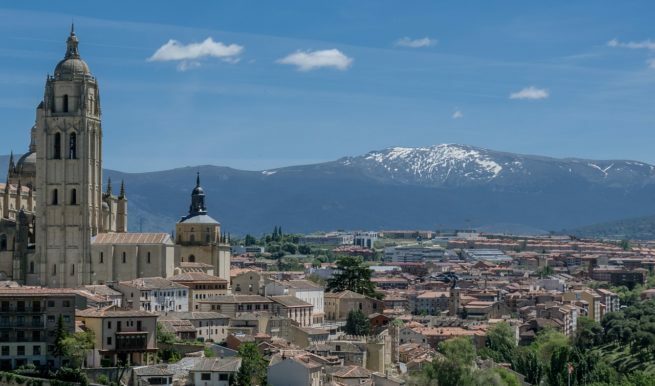 Call ACA to book your private flight to Madrid–Torrejón Airport (IATA: TOJ, ICAO: LETO), a joint military-commercial airport located 15 miles (24 km) northeast of Madrid, Spain. The airports is co-operated by the Spanish Ministry of Defence and the Ministry of Public Works, and its civil facilities are dedicated to executive and private aviation. Torrejon Airport was the main base for the Spanish Air Force, featuring one of the longest runways in the world at 15,807 feet. The airport opened for civilian use in 1996, and for years it was the preferred airport for business travelers and jet charters flying to Madrid. The airport closed for civilian traffic in 2013, and all major air traffic, including a majority of executive charter flights, are now served by Madrid-Barajas and it’s four giant runways. The following are examples of hourly rates for private jet, turbo-prop and helicopter rentals in Madrid, Spain. Due to the high-volume of flights to/from Madrid, many operators offer empty leg charter flights, which can greatly reduce the cost of your rental. Madrid is the top destination in Spain for business aviation, and ACA is your best source for private jet charter service to/from (MAD)Madrid-Barajas Airport using the following Wyvern-certified aircraft. All of the private jets we arrange are operated by FAR Part 135 or 121 (or foreign equivalent) air carriers, and we only use experienced pilots, not never flight school graduates with limited experience in the plane you’re chartering. ACA can provide a variety of options based on the goals and budget of your trip, whether you’re looking for a cost-effective charter option or the most luxurious, fully-stocked private jet on the market. Check out our Aircraft Gallery for more details on all of the aircraft available for your trip. Don’t see your preferred turbo-prop or jet listed below? Call one of our brokers and they will locate one for you! Request a Quote or give us a call at 1-888-987-5387 to speak with one of our Madrid Private Jet Charter agents for your next luxury vacation, business trip, or special event. When you book a private charter flight to Madrid, you’ll enjoy increased efficiency, flexibility, comfort, privacy and peace of mind compared to commercial flights. Skip the long baggage lines and time-consuming security checkpoints and board your private jet directly – with an average wait time of 5-10 minutes, you’ll be up and away quickly.